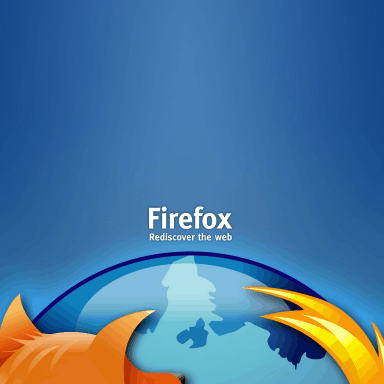 The Firefox team must have taken a note from Opera. 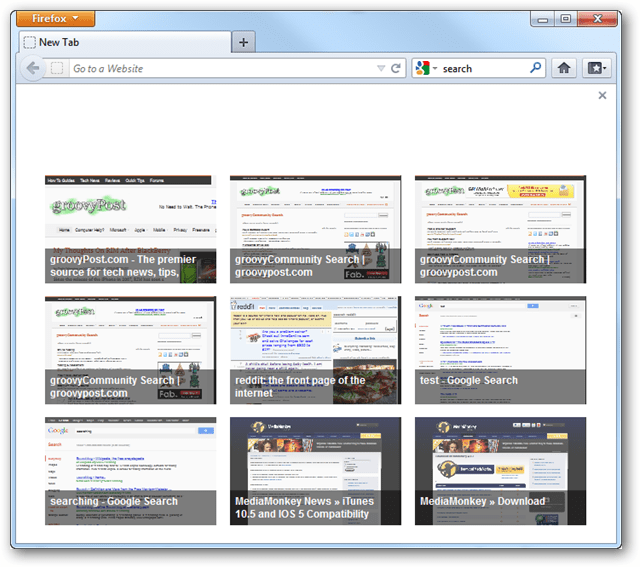 This secret Speed Dial new tab feature adds functionality to an otherwise blank opening of new tabs. Firefox has a new Opera style Speed Dial new tab page, but it isn’t enabled by default. If the default blank white page doesn’t appeal to you, the speed dial feature provides a groovy alternative. 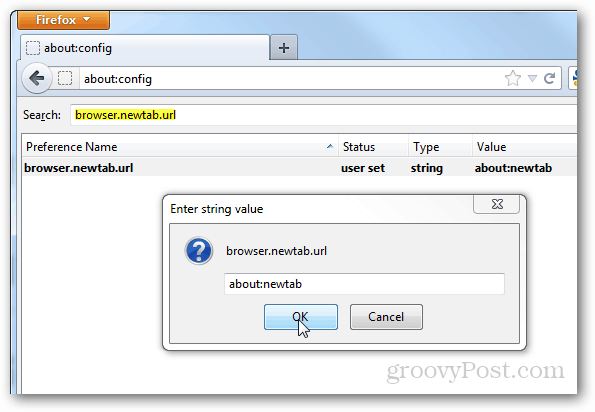 Open Firefox and type about:config into the address bar. 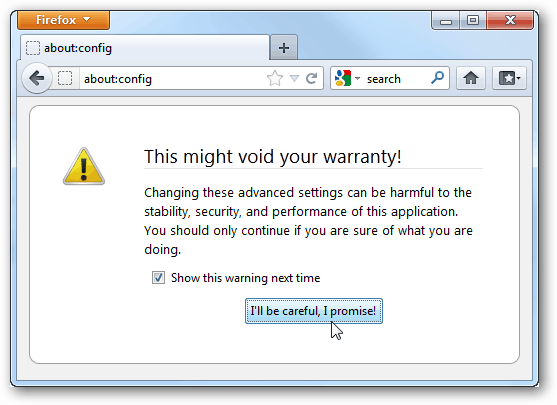 On the Void Your Warranty page click I’ll be careful, I promise! Toggle the value of the preference name result to true. Done! 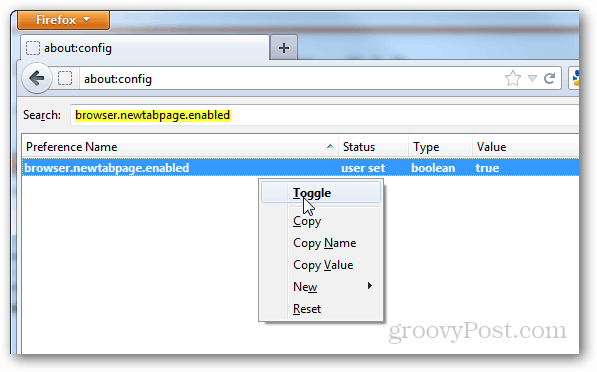 Firefox will use its recently viewed and pinnable Speed Dial menu for all blank new tabs opened from now on.